Take a step inside this beautiful property with an open floor plan and amazing outdoor living, and you will feel right at home. 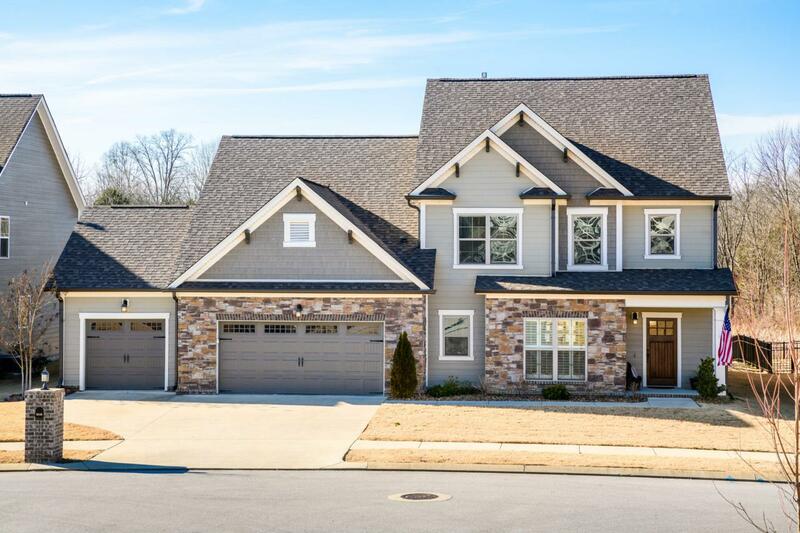 This 4 bedroom/2.5 bath property is an enhanced version of the popular Stillwater plan built by Pratt Homebuilders and includes a 3-car garage and over 3,000 sqft. Located in the quiet Farm at Hampton Meadows, the community features a large catch and release lake surrounded by a surfaced walking trail. The main floor has a wonderful circular floor plan perfect for entertaining and gorgeous wood floors connecting the rooms. The heart of the home features a large kitchen and island overlooking a cozy living room , breakfast area and fireplace. A wet-butler pantry connects the kitchen to a room that serves as a formal dining/living space.Tucked away is a main floor large master with dual sinks, a spacious closet, and double-sized shower. Upstairs is a landing perfect for a second family hangout room surrounded by three bedrooms a shared, large bathroom. While the inside is beautiful, you may want to spend much of your day enjoying the fantastic outdoor living space with privacy curtains, a gas fire circle, and large pool overlooking a protected area where no one can build. This property is move-in ready convenient to Amazon and Volkswagen.